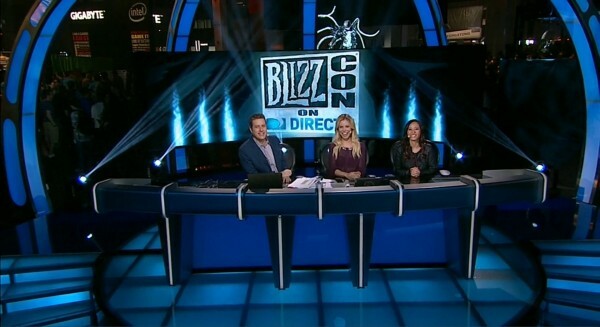 BlizzCon 2014 is underway! The opening ceremony is starting shortly, where Blizzard CEO Mike Morhaime will be unveiling new content (and possibly a new Blizzard game.) We will be covering the livestream of the opening ceremony, starting in just a few minutes. 11:01 AM PDT - BlizzCon is underway! The opening video is looking back at the history at Blizzard, specifically with World of Warcraft. 11:03 - Now a look at how BlizzCon was started, and how the community experience is so much part of Blizzard. 11:05 - Mike Morhaime is out! "Not only are you among friends, you are among family." This is the 8th BlizzCon, the biggest one yet. More than 25,000 people are at BlizzCon from nearly 60 countries, and all 50 US states. 11:06 - Morhaime gets serious, talking about the gamersgate controversy. "Let's carry the good vibes from this weekend out into the real world, all year around. Let's take a stand to reject hate and harassment, and let's redouble our efforts to be kind and respectful to one another. Let's remind the world what the gaming community is all about." 11:08 - Talking now about Warcraft; this is the 20th anniversary of Warcraft, and the 10th anniversary of World of Warcraft. Next up for Warcraft is the expansion Warlords of Draenor, coming out next week. Also, the Looking for Group film is being released tomorrow. There is a party celebrating the 20th anniversary of Warcraft is being celebrated by BlizzCon. A new WoW charity pet is coming in December, with 100% of the proceeds going to efforts helping with ebola. 11:11 - A special theater at BlizzCon will be showing new footage from the World of Warcraft film. 11:12 - There will be more games for e-sports than ever before, at this year's show. $750,000 is on the line for over the next 2 days. A video previews the e-sports fights coming over the weekend. 11:15 - There is a brand new stage for the WCS finals, with dynamic lighting and visuals. 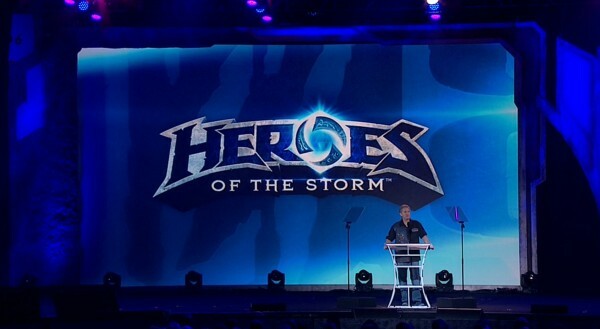 11:15 - Now talking about Heroes of the Storm, the upcoming brawler. A trailer shows some HotS action, and many many Heroes. Closed beta for Heroes of the Storm begins January 13, 2015! 11:18 - There are "so many new things to share with you". Coming out is Jason Chayes, the production designer on Hearthstone. Last BlizzCon Hearthstone was in beta, and now it's launched on both PC and iPad, and the first adventure Naxxramas. Coming this December, the game will arrive for Android tablets. 11:20 - A long-standing rivalry between two races is the basis for the next big thing in Hearthstone. 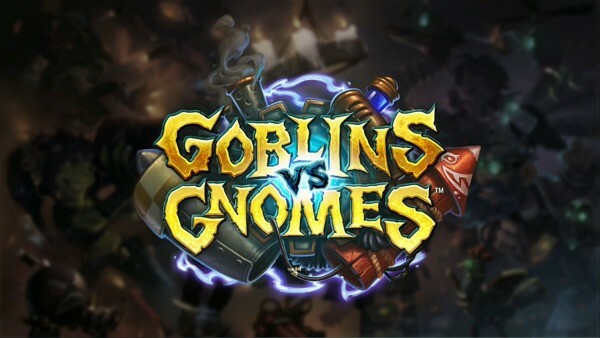 The first Hearthstone expansion is previewed now with a video introducing Goblins vs. Gnomes. The team is on the final balance pass for the expansion. 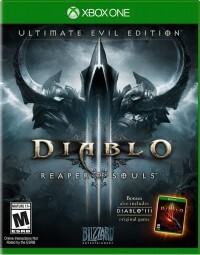 It will be launching for players everywhere in December, and it's playable today at BlizzCon. 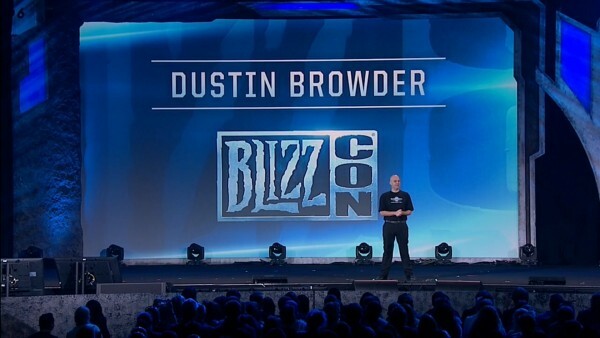 11:24 - Dustin Browder is up to talk about StarCraft II: Legacy of the Void. 11:25 - Now a glimpse of the third section of StarCraft II, with a video. "In the end, all your questions will be answered, in this, the final chapter of our trilogy." 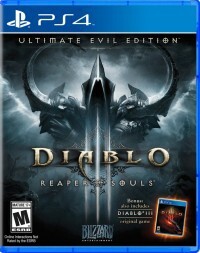 Legacy of the Void is a stand-alone product, the previous games are not needed. 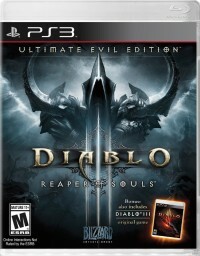 It is playable today at BlizzCon, with new multiplayer units for all three races. New mode is Archon Mode is the best of co-op and single-player, where two players play together as one team. 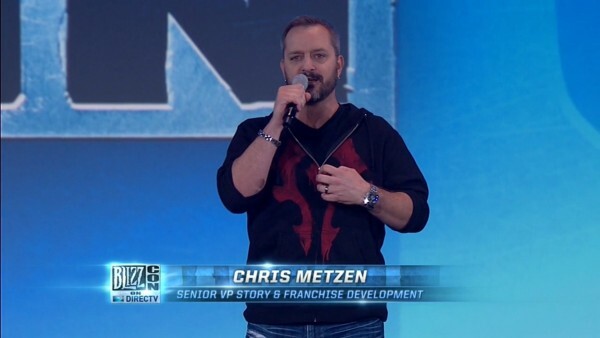 11:30 - The voluble Chris Metzen is now out. He's talking about the anniversary of Warcraft and World of Warcraft, and interacting with the crowd. "It has been something like 17 years, since Blizzard opened the door to a new adventure, opened the door to a new world of heroes and villains, a new universe of adventure and possibility. The wait ends right now!" 11:34 - "Holy cow, this is going to happen! I want you to open your hearts and your minds to what comes next, you are about to get a glimpse into the future. We hope you love it like we do." 11:35 - And now the intro trailer for... Overwatch! 11:40 - Overwatch the video game is "nearer than you think." The game director for Overwatch is Jeff Kaplan, the first game director from World of Warcraft. "Overwatch is a team-based action-packed game. We like to find genres that we're in love with, and take the best elements of those and really bring them out." Next up is a video of the gameplay for Overwatch. 11:49 - Overwatch is in beta in 2015, and can be signed up at www.playoverwatch.com. Overwatch is available to play in Hall C at BlizzCon, today! 11:50 - That wraps up the opening ceremony, of BlizzCon 2014! 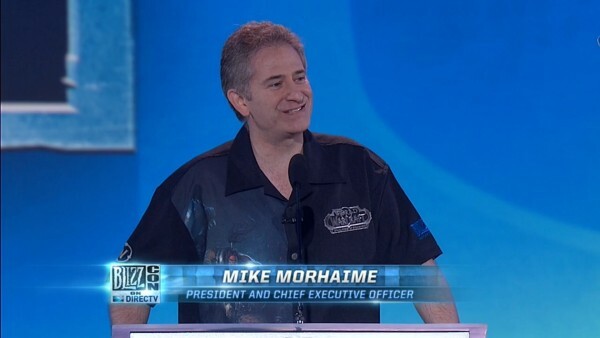 Mike Morhaime is back to chat, chatting about Overwatch. Also noting that for StarCraft II: Legacy of the Void - it plays like an expansion for players who have the previous StarCraft II games, but as a standalone game for those who do not. 11:53 - For Overwatch, Morhaime says it's a "hero based game" that is 6v6, you can jump right in, it's not hard to play but it's hard to get good at. You have some control over how much risk you take on when you explore out in the world. When asked about console, Morhaime says they're not talking about "right now", focusing on PC for the moment. There will be multiple panels about Overwatch over the next two days. 11:57 - Morhaime is talking about all the esports competition, and the StarCraft stage being all new; it's really expanded over the past year even to ESPN. There's a "good chance" that Overwatch will be an esports game as well. 11:59 - He talks about how the pipelines of has never been stronger, and the teams are hitting on all cylinders right now. Question about Overwatch, will it be connected to the other Blizzard IPs? Morhaime says they haven't talked about that yet, they want to define that IP before they mix it up with other ones. Morhaime says he's been playing Overwatch for 4-6 months himself; leading up to BlizzCon he's been playing a lot. His favorite hero so far is Tracer, she's "really fun to play". That wraps it up for the kickoff of BlizzCon 2014. 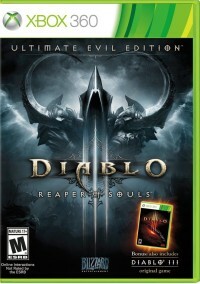 We'll have all the Diablo news, starting with the panel this afternoon Diablo III - What's Next? at 2:15 Pacific time.